Happy New Year! 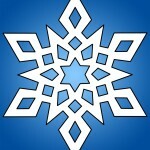 I hope and trust you’ve had a relaxing and renewing midwinter break and are ready for 2012. I don’t yet have a sense for what 2012 will bring. Of course, it’s a presidential election year, so I know there will be campaigning, political ads, debates and the like. (Am I naive to hope it will not be a nega­tive, ugly campaign year?) And if all goes according to plan it will be the first year in which the United States is not at war in Iraq since 2003. But closer to home I’m still trying to get a feel for 2012. Especially at UUS:E: what will the high points be? The challenges? The joys and sorrows? I do know this: I love ministry at UUS:E. I love figuring out how to grow our beacon of liberal religion east of the Connecticut River. I love sharing ministry with an excellent staff and a committed group of lay leaders. I love the opportunities I have as your minister to engage in a variety of social justice initiatives in the greater Hartford region. I love preaching and the fact that the congregation still seem to enjoy my sermons af­ter hearing them for nine years! If 2012 brings more opportunities for excellent ministry, then it will be a good year. Our theological theme for the month of January is vocation. Those of you who are familiar with this word may know that it traditionally refers to work or a task one performs in response to God’s call. In this sense vocation is divinely inspired work. In more recent times, vocation is not necessarily rooted in a divine call; it is simply work that one loves—work that one is passionate about. I don’t know if I have a divine call to the ministry. (I never heard a voice saying “thou shalt become a minister!”). But ministry certainly fits with my life passions (caring, helping, leading, writing, speaking, advocating, etc.). Ministry, for me, is certainly a vocation. Another year is dawning. May it be a good year for you. May it be a year in which you find time to pursue your passions. May it be a year in which you come alive, again and again and again.